Claudia Spahr was born in Yorkshire to Swiss parents and educated at Bradford Girls’ Grammar School. At age fifteen her family left the rolling hills of Bronte-land for the alpine pastures of Switzerland. Aside from the mild culture shock, school was in German but luckily Claudia just about passed her Baccalaureate. She began her studies at Berne University and then returned to the UK, where she completed a BA in Writing and Publishing with Film and Literary Studies. 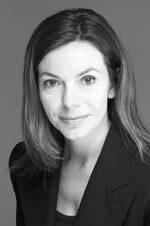 Claudia began her radio career at the BBC German Service in London and then trained as a journalist with Swiss Radio International back in Switzerland. Having acquired a solid foundation in news and current affairs she switched to Swiss National Television where she spent a few years racing around the country as a reporter. They decided she had enough cheek to become a foreign correspondent and sent her back to London to cover the UK and Ireland. The budget wasn’t huge (well, neither is Switzerland) so she was in effect ‘The London Office’, covering all stories from Britain joining the Iraq war to Roger Federer’s first Wimbledon victory to Manolo Blahnik’s shoe exhibition. After ten years in the media, Claudia decided to change her lifestyle. She based herself in Cambodia to work on a novel, She Nomads, which she completed in Vietnam and New York. 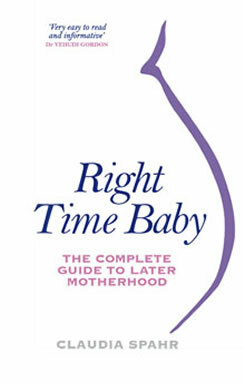 After working on a non-fiction project So What If He’s Younger, she started Right Time Baby – The Complete Guide to Later Motherhood, to be published in spring 2011. She continues to freelance for various publications and organizations. Together with her Spanish partner, Claudia also runs Lotus Yoga Retreat, a beach yoga and holistic therapies resort in South Goa, India. They divide their time between Goa, Spain, Switzerland and the UK. They have a small son, Santiago Rama. Claudia is bilingual in English and German and completely fluent in French and Spanish. Her Italian and Portuguese are rusty but she will understand every word.